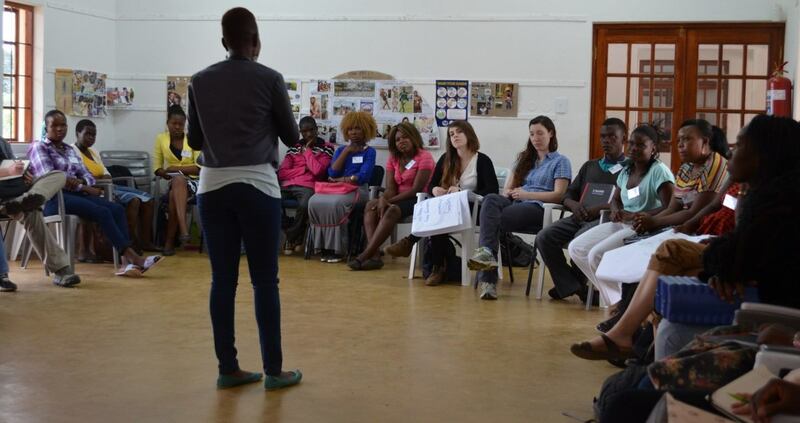 One of many powerful sentiments expressed at this year’s South African conference on Recognition, Reparation, and Reconciliation is “we wanted freedom, and we got democracy.” The frustrations of young people in particular, nearly a quarter century after the hard-won achievement of democracy, are deep and deeply warranted. There is no meaningful freedom for youth (here defined as under 35) who cannot find jobs, even if they were fortunate enough to finish high school and access some form of higher education. Nor is there meaningful freedom for older women who now earn a monthly income from the Old Persons Grant – only to exhaust every cent of it helping to support two or three generations of family members. Dzunani graduated from a decent rural high school in 2000. He has always been a hard worker – the phrase he uses to describe himself in preference to any other. His parents were hard workers, his father as a plumber in Johannesburg during the apartheid era, and his mother raising several children in the rural “homeland.” When Dzunani’s father fell ill and lost his job, his mother began to take on seasonal work at local (Afrikaner-owned) farms and later worked as a cleaner. The parents impressed on their son the importance of securing his own path through commitment and hard work. Like so many South Africans, they felt a surge of hope for their children when apartheid was dismantled and Mandela’s ANC came to power. The hope lasted well into the 2000s, South Africans being a generous lot and having learned patience through years of abject experience. Hope began to falter at the height of the epidemic of HIV/AIDS, a crisis neglected by the fledgling democracy under Mandela and infamously enflamed under his successor, President Mbeki. 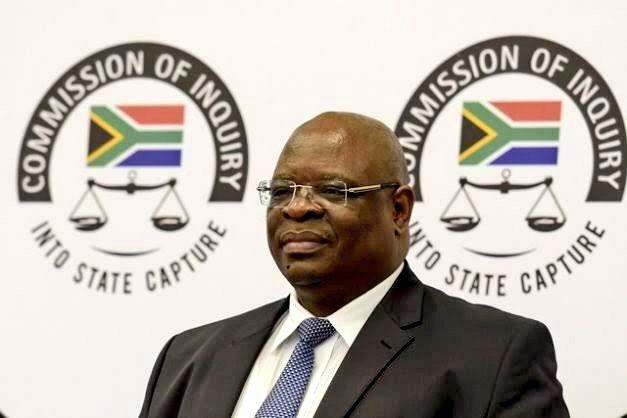 Hope turned to outrage and despair with the flagrant abuses of democracy and economy enacted by Jacob Zuma’s presidency – abuses encapsulated in the phrase “state capture,” to express the degree to which private interests (especially but not only those of the Gupta family companies) “captured” the agenda of governance and the functions of the state, and subverted these to the interests of capital. Back to Dzunani. His dream when he graduated from high school was to become an engineer. He was good at math, and could fix anything that came his way. His grades were not high enough to earn him a bursary to university (and his parents, like many who grew up under apartheid, had no idea of how to position their first-born for higher education). He spent many months going about the countryside and nearest town asking people “where do I go to find a job?” Dzunani landed a first job helping with construction projects around the communal territory where he lives. With a recommendation as a hard worker, he earned a marginally more secure position (because salaried) as a packer at a banana farm. But without seniority, he was let go when the farm cut back on labour. Worn out by lack of opportunity in the rural region, Dzunani headed to the city in 2004. His experience there was dire. “I was telling myself that I would work at any job that I get. 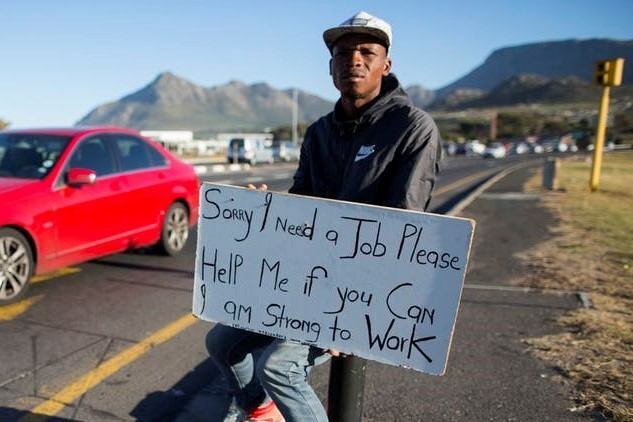 … But at Johannesburg I didn’t get a job. Just finding, finding, finding [looking, looking, looking], agggh, until I decided to come back again to home.” Dzunani experienced what so many learn in the city: in an economy of structural joblessness – an economy that spawns precarity and insecurity rather than decent employment – life in Johannesburg was unsustainable. He found work with an engineering company for a few weeks; they made promises of stable employment that never materialized. The company paid him a very small sum and let him go without notice. While in the city Dzunani camped on the floor of a cousin’s flat, but still he couldn’t afford to stay “because in Johannesburg they need money for food, money to pay the rent.” After many more months without work he returned to the village, where he could live rent-free in his parents’ compound. Dzunani finally had some luck in 2010. He happened to hear at a funeral of an externally-funded job-readiness project for youth that was coming to the local villages. He took his resumé to the office of the youth education project, and to his delight he was selected to participate in a six-week program called “Fit For Life, Fit For Work.” His cohort was then chosen to start a youth food security project, also externally funded – a vegetable farm that would provide Dzunani with salaried, stable work from 2011 to the end of 2017. 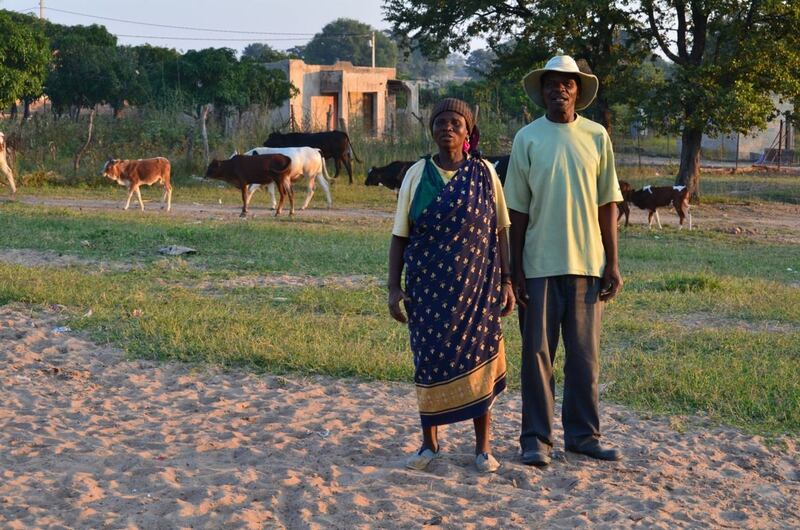 Serendipity took Dzunani to the farm; hard work and commitment kept him there. Sixteen youth started at the farm in 2011. Retrenchments followed little by little as external funds began to dry up (various complex problems stood in the way of the farm becoming self-sustaining, not least competition from larger commercial farms and supermarkets). Dzunani remained until the end, clearly the most talented and devoted of farmers. Dzunani told me several years ago about his transformation to farmer. With his colleagues he spent three months at an agricultural college learning a mix of conventional and agro-ecological farming methods. From time to time he was offered additional short courses in agro-ecological methods of pest control, soil management, and aquaculture. He soaked up the learning – and more profoundly, the daily experience of working in the soil – and became a farmer. It was not an easy six years. The monthly salary never increased, despite sharply rising food and living costs. By the end of his time at the youth farm, Dzunani was spending nearly one-third of his salary on transport from his village to the farm site. Transport costs are often suffocating for rural workers and a major challenge for those in the cities, who generally live in poor neighbourhoods far from their place of work. He and his co-workers arranged a “taxi” (as small-van private transport is called) to carry them every day from a central pick-up point to the farm in a distant village. Even with that arrangement, transport costs were choking. A local white farmer heard this story and told me “they must make a plan” to reduce their costs – moving closer to the farm, for instance. That’s an impossible compromise for youth who live at very low cost on their parents’ compounds, contributing as they can to the shared costs of food, water, and other necessities. Moving to another village means purchasing or renting land (that is, if it’s even available in the over-crowded villages) and building a small house. These costs would eclipse monthly transport costs several times over. The suggestion of this “plan” makes clear the white farmer’s – and perhaps the government’s – utter lack of comprehension of social and economic realities in poor households. Close to the bone as his circumstances were when he worked at the farm, unemployment was far worse. Dzunani shudders when he recalls his years of under- and unemployment. Waking in the morning with a knot in his gut as he faced another day with nothing to do, he remembers being blamed for thefts and other nuisances in his village. With regular work, by contrast, “when I wake up in the morning … I’m happy because, in my heart, I’m telling myself ‘I’m going to work’.” Regular work enabled Dzunani to build two rooms on his parents’ compound for his wife and two children. It enabled him to help with school costs when the elder child started school a couple of years ago. His wife manages the child support grant for each child – US$28 per month per child that is crucial to enabling children to attend school (attendance is free, but uniforms, books, and transport cost money), and keeping them properly nourished. Dzunani was the last of the youth farmers to be “released,” the mild local euphemism for dismissed, from the food security project. All the salaried workers were replaced by casual workers, mostly older people who live near the farm and can be called up when there’s planting or harvesting to be done. His dismissal is emblematic of a rising global shift from salaried work to casual precarity, a shift lamented by millennials in Canada as in the Global South. Since being let go, Dzunani has been moving around the countryside as before, “finding, finding, finding” work – piece work at construction, picking produce, whatever he can turn up. He’s cheered by the prospect of finding work closer to his heart – and, importantly, walking distance from his home – at Hleketani Community Garden, where the women have promised to call him when they need help with odd jobs. More powerfully, they have offered him a patch of irrigated ground where he can grow food for his family and, all going well, for sale. 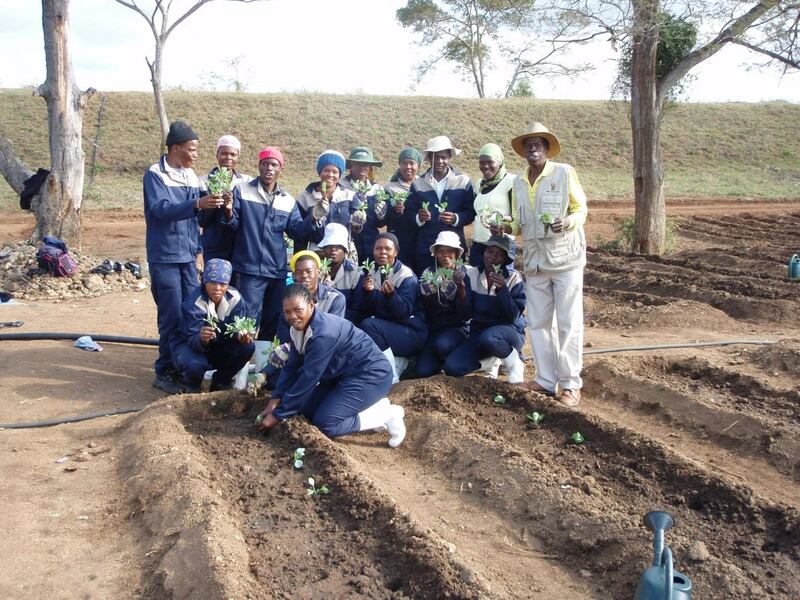 When he worked at the youth farm Dzunani’s dream was to one day have his own farm. He couldn’t afford the land. Perhaps this is a step in that direction. Nkhenso’s story is different, though more in the details than the broad sweep. Several years younger than Dzunani, she was born at the start of the transition to democracy (1990, the year Mandela was released from prison). Nkhenso grew up in the same communal territory as Dzunani, under the same traditional leader, in a village down the road. Her father was in the picture on and off during her childhood, but stopped contributing and ultimately left the household when she was in high school. Her mother was left with Nkhenso and five younger children to raise. Nkhenso, who had been a good student, saw her chances of higher education evaporate. Like Dzunani, Nkhenso had the good fortune to be chosen to participate in the Fit For Life program. She came to the attention of the program’s leaders as a smart young woman with enormous energy and strong language skills (her mother had taught her children English from a young age, and often insisted they speak English at home). These abilities have landed her occasional work as a research assistant and interpreter on university research projects. With the money she earns Nkhenso helped her mother extend the house from two to several rooms, helps pay for school uniforms and other school needs for her younger siblings, and helps support her own college studies in the city. Nkhenso’s story is still being written. Serendipity and talent brought opportunities, as they did for Dzunani. But for vulnerable households in precarious circumstances, it is often one step forward, two steps back. 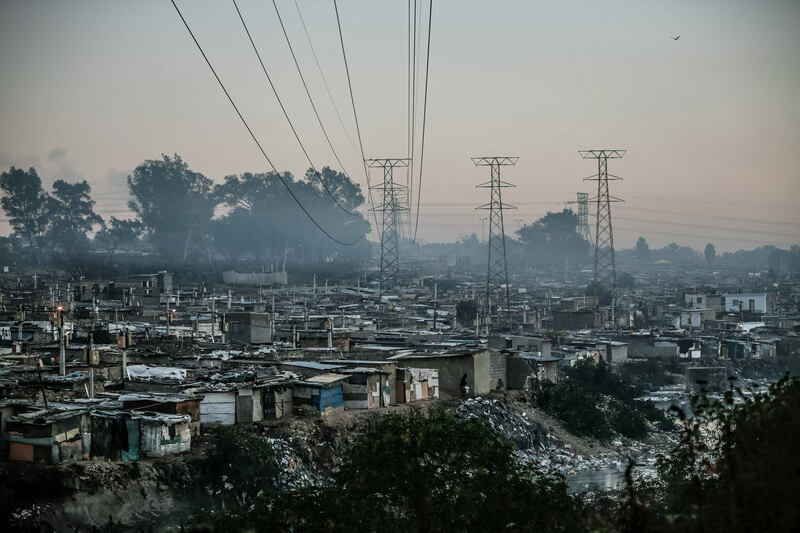 Among many backward steps beyond their control, Nkhenso’s family has seen their stable life on the family compound brought to a crashing end by the return of the father. Nkhenso’s father is able to claim the plot because it came through his family when the couple married. Although Nkhenso’s mother raised the family there on her own for many years, and might win the argument in court, she knows that she would likely face retribution if she sought to stay. She and the children have taken refuge on her family’s small plot in another village. The children now face all the challenges of starting again in new schools – while traumatized by the uprooting – while Nkhenso’s mother has had to leave behind a very supportive community of women and church colleagues. She visits as often as she can, but the cost of transport, and time away from her children, make it difficult to draw on those connections. She remains a member of various savings and credit clubs in the original village, connections that are vital to the constrained family economy. She is trying to recreate normalcy for her children at a time when her own emotional life is in turmoil. The situation takes a toll on Nkhenso. Since the final family split and the move to her grandparents’ village a few months ago, Nkhenso has frequently come home from the city to deal with her siblings’ crises and the family’s material needs. She aches to see the resources she so lovingly invested in the family home squandered on a father who has done so little for his children. She aches to witness the pain of her mother. All this travel and turmoil draws Nkhenso away from the studies that might, in a just world, underwrite a different kind of future. Writing from another context, the Italian novelist Elena Ferrante describes how the dream of a new day – with its faith in progress, improvement, growth, technology – is shown to be without foundation as the strains of late capitalism accumulate. In Ferrante’s bleak formulation, “the dream of unlimited progress is in reality a nightmare of savagery and death.” Is the lesson of Southern Italy also the lesson of South Africa? Is there still time for a different ending? Nkhenso and Dzunani are committed to another step forward. May it be toward justice. Ferrante, Elena. 2015. The Story of the Lost Child. Europa. Mbembe, Achille. “Revisiting ‘Historical Trauma’,” Keynote address at Recognition, Reparation, Reconciliation Conference, Stellenbosch University, 8 December 2018. Unpublished. Nuttall, Sarah. “Dark Light: Coming Out of Trauma,” Plenary address at Recognition, Reparation, Reconciliation Conference, Stellenbosch University, 7 December 2018. Unpublished. Piketty, Thomas. 2014. Capital in the Twenty-First Century. Harvard.